We asked Nick Bergelt, Chief Concept Officer at Stoner's Pizza Joint, How do you create an exceptional customer experience at your brand that attracts loyal customers and sets you apart from the competition? Approximately 3 billion pizzas are sold each year at hundreds of thousands of pizza concepts. So it was vital for us to create a best-in-class customer experience that would differentiate us. Stoner's Pizza Joint was founded as a small, family-owned concept, and we've made it our mission to maintain that local pizza shop vibe as we grow and evolve. Studies have shown that coupons are critical in attracting first-time guests, especially in the pizza segment where concepts are a dime a dozen and price points vary greatly. 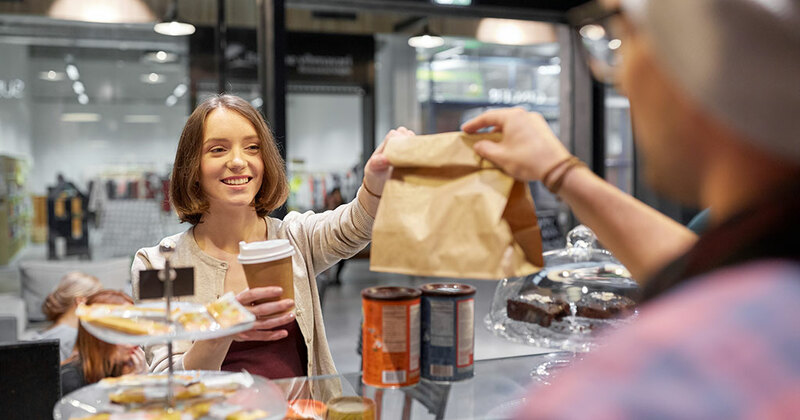 With customer acquisition costs in the restaurant space being pretty high, we've found that coupons or free incentives are an efficient way to get exploratory customers in the door initially. But it's up to us to create an experience that will motivate them to return. Our own research has shown us that we need to market three positive guest experiences. If we do that successfully, it will give us a 70 percent-plus chance that those customers will become lifers. These stats are the foundation of our marketing mix, and an integral piece of our hospitality training for our staff. We empower all staff to identify first-timers at the point of purchase -- and then "surprise and delight" them with a free offer to try one of our desserts if they didn't elect to try one. When they return to redeem that free dessert, we surprise and delight them again by offering a free appetizer at their next visit. This small investment helps us create those three critical positive customer experiences that, ultimately, will drive them to become lifers. We do this through three approaches: great pizza, driving them to try other items, and providing a differentiated, hospitality-driven experience. We believe the relationships we cultivate with our customers are the crux of our success, and we've based our culture on the fact that customers return 49 percent based on what we do and 51 percent based on how we make them feel. We know that our success and growth are the direct result of word-of-mouth referrals, so we strive to create the best experience possible for our customers at every touch point, even when they're dining off-premises. For us, this means making real connections, propelling our internal growth with a hospitality-driven culture, and becoming the best at developing these relationships within our communities. Further, we believe that if our growth is driven with authenticity and a moral fiber that permeates all decision-making, we'll drive unparalleled guest frequency and loyalty, which will lead to a sustainable and strong economic model that wins out over time.